London, 20 February 2013: London’s iconic Jumeirah Carlton Tower continues its collaboration with master patissier and star of Channel 4’s Baking Mad series Eric Lanlard with the launch of his new FUSION afternoon tea. 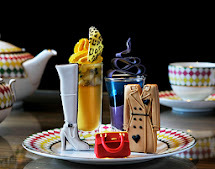 Unveiled on Friday 22 February in Jumeirah Carlton Tower’s beautiful Chinoiserie, Eric’s new afternoon tea is inspired by his travels and the discovery of unusual and unexpected flavours and ingredients. 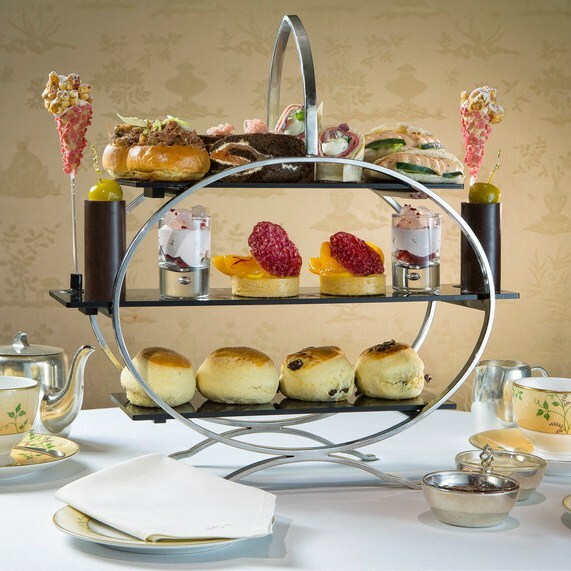 Working closely with Executive Chef Simon Young, the two have united their creative culinary minds to deliver a refreshing twist on the afternoon tea. On arrival, guests will be spiritzed with Eric’s edible perfume of freshly baked pain d’epices – quite literally a taste of things to come and a novel way to bring out the flavours of the tea. The menu begins with a section of savory delights such as: a lemongrass and ginger house-marinated salmon pumpernickel roulade; a roast beef, watercress and creamed horseradish wrap; and an onion brioche with crispy Peking duck, spring onion and cucumber. Then, to satisfy even the most discerning sweet tooth, a selection of pastries, cakes and desserts that combine elegant and subtle flavours to delicious effect. From a wild strawberry cone pop topped with strawberry cheesecake popcorn to dark chocolate cannelloni filled with tarte tatin mousse topped with pecan smoked mini apple, the FUSION afternoon tea is a decadent and memorable experience. With a remarkable attention to detail, Eric fills his honey roast apricot tart with precious saffron mousseline cream, and tops his wild roses nectar and fresh raspberries with lychee pearls and a Provencal fig coulis. The Chinoiserie at the luxury Jumeirah Carlton Tower provides the perfect backdrop for afternoon tea with its sophisticated, classic-contemporary décor and soothing music played by the resident harpist.